Welcome to the Millennial Homemakers! 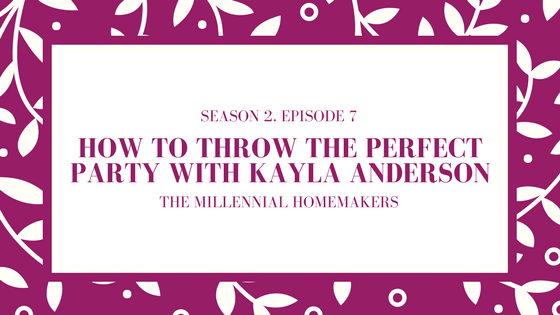 In this episode, you’ll get a chance to meet Millennial Homemaker Kayla Anderson. Join us as we get to know Kayla and we all share our favorite party planning tips and tricks. The Jackbox Party Pack is perfect for game nights!